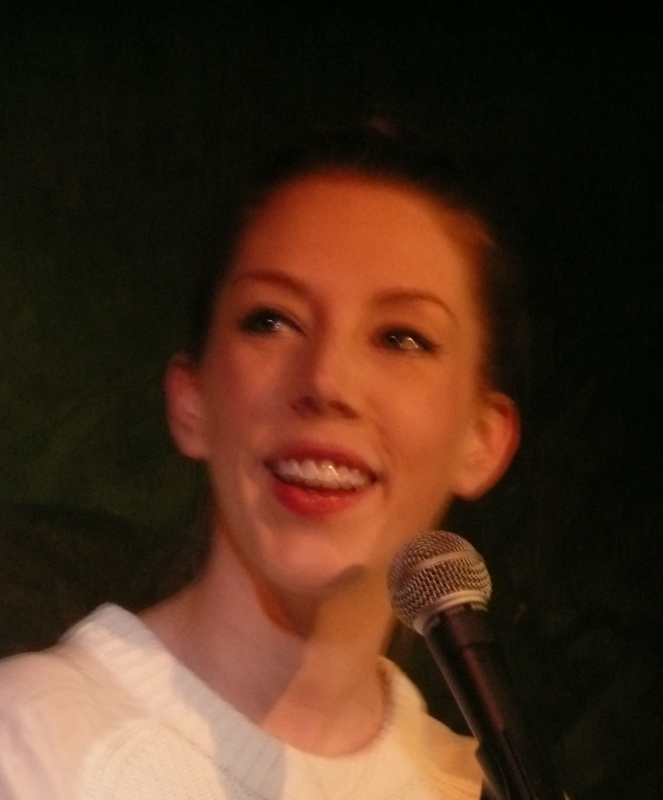 In what was the final date of a 48 venue tour when always funny Canadian Katherine Ryan brought what was her Edinburgh Fringe 2012 show Nature’s Candy back to the city. Almost an hour before the show started the iconic comedy club was packet to the rafters to see live this personable comic who has wowed them on TV in shows such as Mock the Week, Never Mind the Buzzcocks, 8 out of 10 Cats and her appearances on Let’s Dance for Comic Relief. And I can’t believe even one left even marginally disappointed. 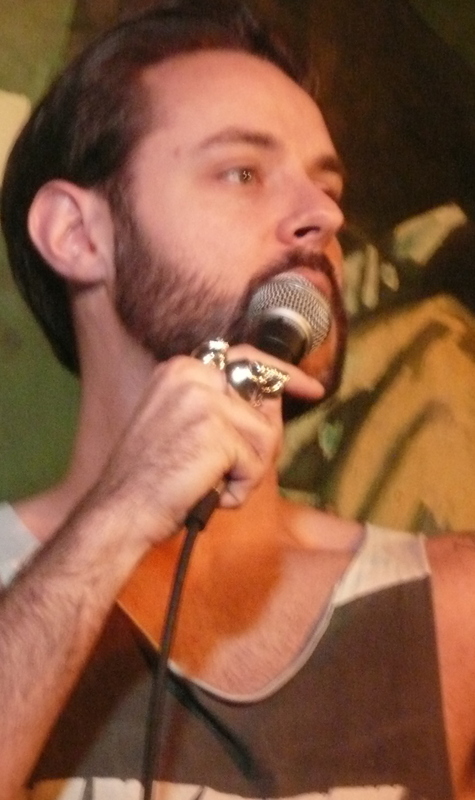 But before Ms Ryan we had an opening act, that being Jeff Leach an much tattooed self-styled 100% gyppo to warm up the audience with his brand of humour. This he achieved with an amalgam of material interlinked with audience riffing, being inclusive rather than confrontational throughout his set. The theme of his set seemed to be his cleaning up his act since meeting a good woman and has a myriad of stories of his previous wild days in juxtaposition with his current position. Such examples as his BBC3 documentary which no one watched, a visit to a doctors, the difference in the way men and women react to health issues. But there is still some bad boy in Leach’s material as he pours vitriol on Thatcher, Dappy and XFactor. For me the highlight was almost an homage to fellow comic Tony Law as he slipped into an uncannily accurate impersonation a few times through the latter part of the act. All told it is fair to say his 20 minutes set was well received by the crowd. Following a brief interval Katherine Ryan hit the stage and from the outset commanded the club with her on-stage presence and confident personality not forgetting a whole hour plus packed full of quality material. Canadian by birth but she has been living in the UK for 5 years now and the lifestyle comparisons between the two give her plenty of scope for content, and she exploits this well. But by no means is this all, hell no, a self confessed celebrity fan Beyonce, Rihanna, the British Royals especially Prince Harry, James Hewitt all come under her scrutiny and laughs a plenty ensued. Also politicians and tweets majoring on Ken Livingston and Boris Johnson, is there nothing she cannot expound on? Also getting airtime was her family and of course a multitude of anecdotes about her young daughter, all related in her own inimitable style. It is fair to say that once again she rocked the house through out the allotted hour, an hour that evaporated all too quickly for everyone. I have been charting her progression from the first time I saw he nearly 5 years ago and I am convinced that she will be stellar within a very short time. The current tour is now finished but for further gigs check out her website www.katherineryan.co.uk and if there is a gig near you then grab the chance with both hands, I am totally confident you will not regret it. And for all future gigs at The Stand then www.thestand.co.uk is the place to be.